A steering wheel may not be able to return to the center position due to friction torque in its mechanism. 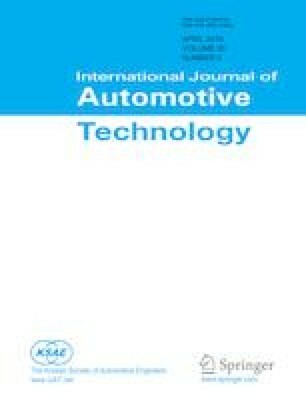 Thus, in this study, a return controller is developed to improve the returnability of an electric power steering vehicle without an angle sensor. The aligning moment is well estimated on the basis of a Kalman filter estimator. A trigger rule is also proposed to switch between assist and return controls. Finally, the compensation current for the return control is regulated in accordance with the aligning moment and vehicle speeds. Simulation and real vehicle results show that the proposed control system can significantly improve the returnability of the steering system.